Spring skiing in Breckenridge is perfect so far! 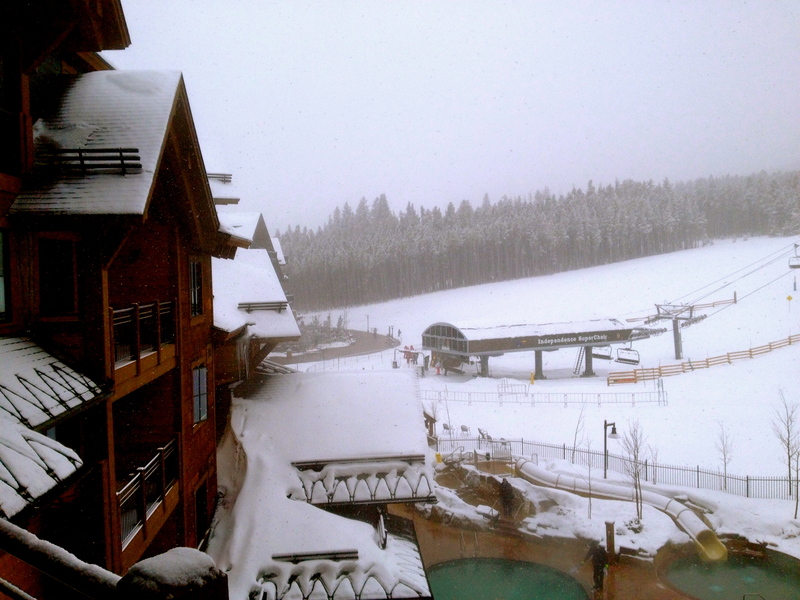 Last week’s snow turned Breckenridge into a winter wonderland with great spring snow all week! The view of the steaming salt water pools and hot tubs surrounded by fresh powder promise blissful relaxation for skiers and boarders who have spent the day playing in the bliss of fresh powder. Owners at Grand Lodge on Peak 7, a luxury fractional real estate property in Breckenridge, Colorado who enjoy a week like this will be scrambling for ways to extend their stay! There is still great condos available for purchase, including slope side balcony views so that owners can relax on their decks with a glass of wine, lost in watching the snow gently fall, and enjoy the hush that comes over the mountain as night falls. Just a piece of heaven on earth…. This entry was posted on March 25, 2013 by elevatemarketingaz. It was filed under Breckenridge Colorado Luxury Condo Sales, Breckenridge Luxury Condo Sales, Breckenridge, Colorado Real Estate, Fractional Ownership Real Estate, Fractional Ownership Real Estate Breckenridge CO, Fractional Real Estate Breckenridge, Fractional Real Estate Breckenridge Colorado, Grand Lodge on Peak 7 Breckenridge, Colorado, Luxury Fractional Real Estate, Luxury Fractional Real Estate Breckenridge CO, Luxury Fractional Real Estate Breckenridge Colorado, Ski In, Ski Out Luxury Condo Breckenridge Co, Ski In, Ski Out Luxury Condo Breckenridge Colorado, Uncategorized and was tagged with Breckenridge, Breckenridge Colorado, Breckenridge Colorado condos, Breckenridge Colorado skiing, Breckenridge luxury condo sales, Grand Lodge on Peak 7, luxurious condos, ski in, ski out real estate breckenridge colorado, ski_in_ski_out Breckenridge condo.